The new salary insights product feature enables to empower job-seekers to make informed career decisions. 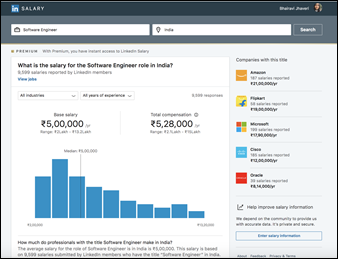 LinkedIn has launched the LinkedIn Salary product feature in India, which is a definitive resource for job salary data. The tool will enable job-seekers to make more informed career choices as it allows professionals to gather deep insights into the compensation landscape, including bonus and equity data for specific job titles. It also provides insights into the different factors that impact pay such as years of experience, industry, company size, location, and education level, and in turn, make more informed career decisions. The tool draws on data from the network’s 53+ million members in India, to provide an in-depth view of salaries across professions. He added that this will help professionals, including students and career starters, negotiate better salaries and optimize their earning potential. 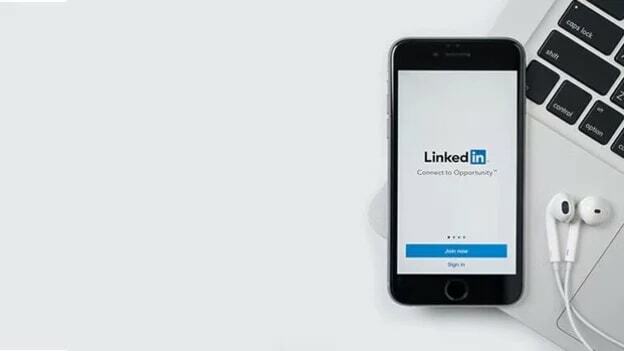 Free members can access the complete LinkedIn Salary experience by contributing their salary data; LinkedIn Premium members will be able to access LinkedIn Salary without the need to contribute their salary information. The tool also revealed interesting insights on salary trends for India. Bengaluru emerged as the highest paying region, followed by the country’s commercial capital Mumbai and NCR (comprising New Delhi, Gurugram and Noida) followed at number three. Also, no surprise that, Hardware & Networking and Software & IT Services emerged as the top two highest paying industries, with Consumer Goods, Healthcare, and Finance rounding up the top five spots. The tool indicates that some of the highest paying titles in the county, at present and based on current member submissions are Director of Engineering, Chief Operating Officer, Executive Director, Vice President Sales, Senior Program Manager. LinkedIn has constantly been releasing a slew of features to keep its users engaged and provide them with more valuable insights. In September, it launched Talent Insights, an analytics tool for talent. Talent Insights is a self-serve data graph that utilizes LinkedIn data to enable HR folks to benchmark where talent is being lost and where a new office should be opened.